Worth a look if you want to add some finishing vocal touches to your compositions. Loads of phrases in loads of styles. Some colouration when you move notes a long way from their original pitches. 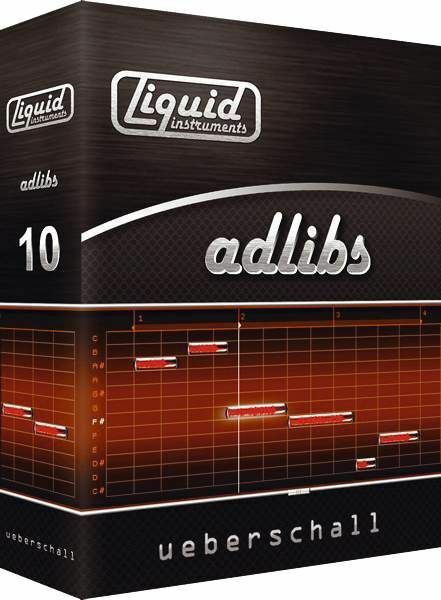 As its name suggests, Adlibs consists of short vocal phrases - 800MB of them, to be precise. They feature three female singers and two males, and cover a range of styles, including pop, dance, soul and electronica. In case you don't know, the Liquid Instruments series makes use of Celemony's groundbreaking Melodyne technology to make its samples 'liquid'. The sounds are displayed on a piano roll editor, in which they can be moved around almost as if they were MIDI notes. Melodyne's audio manipulation is so good that notes can be moved quite a distance without sufering from the chipmunk efect. This means that phrases can be altered in terms of both timing and pitch to suit your songs. While there's no doubting that the editing tools are very powerful, notes that are moved by more than two or three notes do exhibit some colouration, and it would be hard to use these phrases in a track if they were exposed too much. That said, positioned in a full-band mix, you'd be hard pressed to spot anything unusual, which makes Adlibs a great addition to anyone's sample library, especially if you don't have access to a singer.